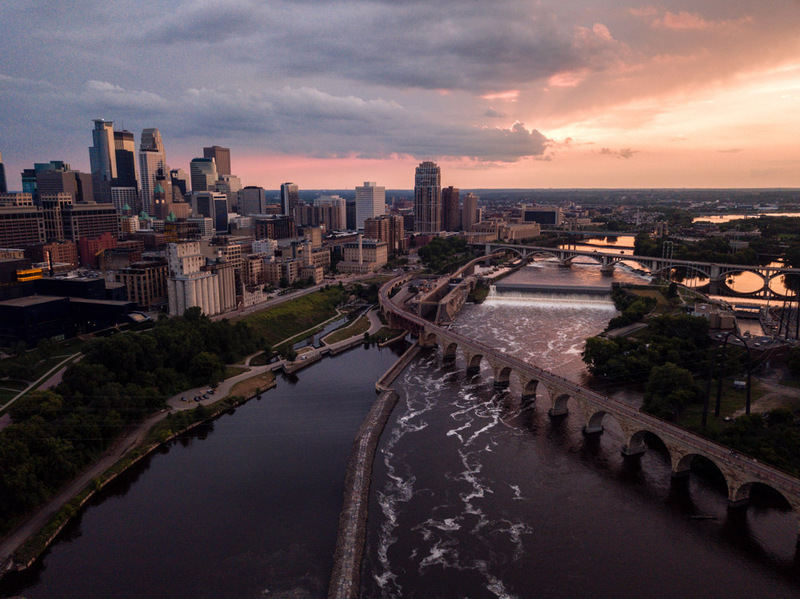 Almost 60 percent of the people in Minnesota live in the Twin Cities area—Minneapolis and Saint Paul. This location has a thriving arts scene, four major sports teams, nearly 40 colleges and universities, and plentiful recreational areas. Beyond the Twin Cities, there are a handful of other cities with significant populations, including Duluth, Rochester and Saint Cloud. Wherever you choose to settle in Minnesota, you’re guaranteed to be close to a lake and friendly neighbors! The economy in Minnesota comes from a diversity of industries that mimics that of the United States as a whole. The agricultural industry isn’t as big as it once was, but is still a large producer of sweet corn, green peas, sugar beets, corn and soybeans. Forestry and mining are also big industries in the state, and is well known for its iron ore mines. Manufacturing, technology and biomedical industries are also significant in Minnesota, and many large companies, such as Target, 3M and Best Buy are headquartered in the state. Minnesota has a few taxes when it comes to doing business in the state. The state does charge a corporate franchise tax of 9.8 percent that applies to C-type corporations, as well as a tax called the “minimum fee” that also applies to corporations, LLCs and partnerships. In addition, if your business income passes through you, you’ll have to pay the state income tax that ranges from 5.35 to 9.85 percent. There are nearly 497,000 small businesses in Minnesota, making up 97.9 percent of all employers. Minnesota has a GDP of $255 billion, and an unemployment rate of 3.6 percent, which is one of the lowest in the nation. The Minnesota Franchise Act has many provisions that protect and assist franchisees, making the state a great place to open your own franchise!